Focus and Scope. The journal covers the following topics: Palaeoslavonic studies and Slavic etymology; Baltic-Slavonic linguistic relations; the Slavic heritage of the Grand Duchy of Lithuania; Slavic dialectology; the history and modern situation of Slavic languages; comparative research; training in foreign languages; translation/interpretation; other fields of Slavonic studies. Besides, the journal includes critiques and reviews of Slavonic literature; information and reports about Slavonic symposiums and conferences, academic personalities; specialized Slavonic bibliographies, etc. Publication Frequency. The journal is published annually. Languages. The contributions are accepted for publication in any of the Slavic languages, English, German or Lithuanian. Indexed in.  EBSCO, Google Scholar, China Knowledge Resource Integrated Database, Lituanistika, DOAJ (2019). History. 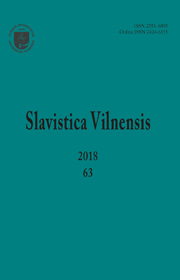 Slavistica Vilnensis is an international yearly scholarly journal of Slavonic linguistics and philology, published by Vilnius University since 1958. Beginning in 1997, the title of the journal has been Slavistica Vilnensis (Kalbotyra (2)). The journal is edited by the staff of the Department of Russian Philology and Centre of Polish Studies at Vilnius University and is published by the Publishing House of Vilnius University. The editorial board consists of specialists of Slavonic studies from Lithuania, Poland, Norway, Estonia, the U.S., Germany and Belarus. The journal features articles by Slavic linguists from Lithuania, Russia, Poland, Belarus, Ukraine, Bulgaria, Estonia, Latvia, Norway, Germany, Croatia, Slovenia, Italy and the U.S., written in Slavic languages, Lithuanian, English and German.